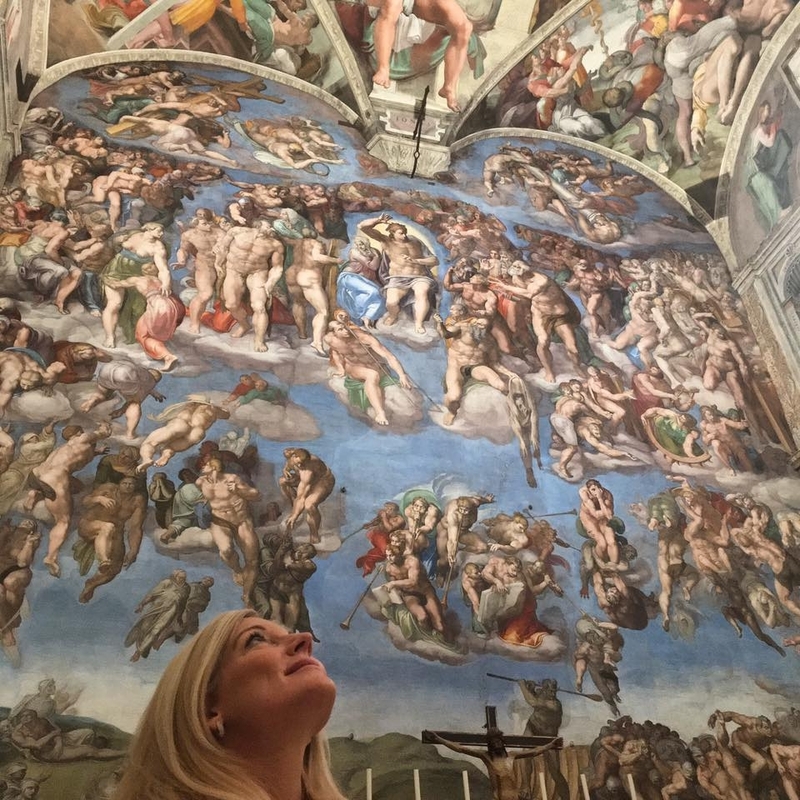 Rome, January 24, 2019. 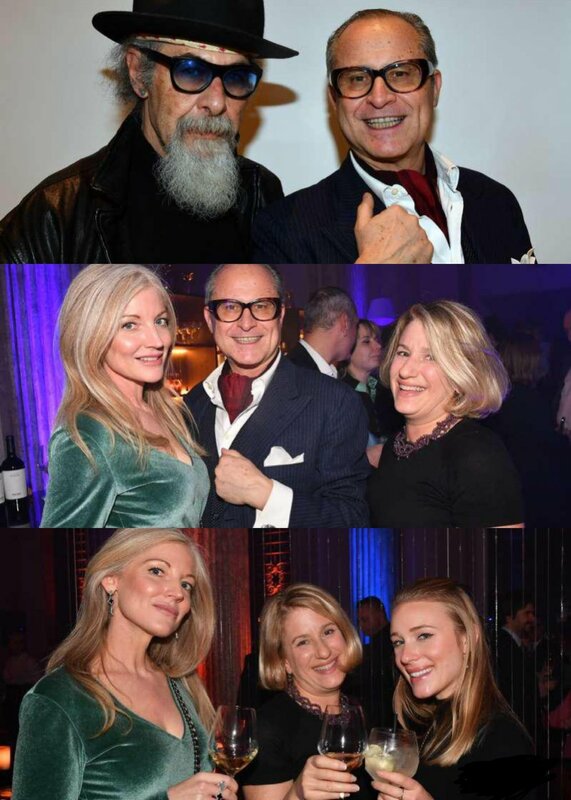 The launch party of Palazzo Montemartini Rome (the first Radisson Collection Hotel in Italy) was nothing short of perfection. The evening began even before entering the gate. I was offered a champagne as I alighted from my car (which was concierge-parked thank you very much). A long illuminated red carpet and video projections on the articulated facade of the palace welcomed a host of Italian and international VIPs, promising and delivering on the theme #welcometotheexceptional. Hotel Manager Marco Luzietti personally greeted each guest and then off we went with our maps to discover the treats awaiting us across three levels of the palace. 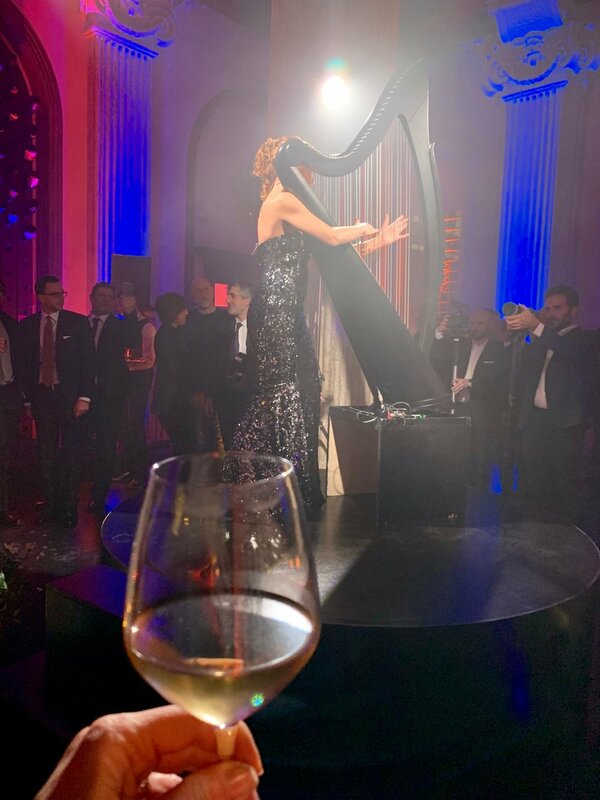 The Senses Restaurant and Lounge with illuminated classical columns and a stunning central fountain became a theater for the musical performances of rock harpist Micol, violinist Leida, and deejay Yaya. Alongside the open bar, we were tempted by pasta with herbs and field vegetables, raviolo of veal cheek with creamy orange sugo, and egg pasta with carbonara of tuna. This last pasta was glorious, only outdone by the egg shells filled with parmesan creme caramel, mushrooms and truffles! I also have to mention the divine smoked codfish with leek and potato fondue, a specialty of the Radisson Collection Hotel Royal Mile Edinburgh. The atmosphere was exceptional downstairs at Caschera Spa, thanks to the vibrations of eclectic musical duo Alessio De Simone and Giorgio Rima, accompanying body painter Leonardo Borgese. The seafood offering complemented the atmosphere: shrimp and ricotta balls, and smoked salmon and gravlax on wholemeal croutons were highlights. On the main floor upstairs, Vera Dragone and the Velvettoni Swing Orchestra played while guests stuffed their own ricotta cannoli, or scoffed cotton candy like babies. 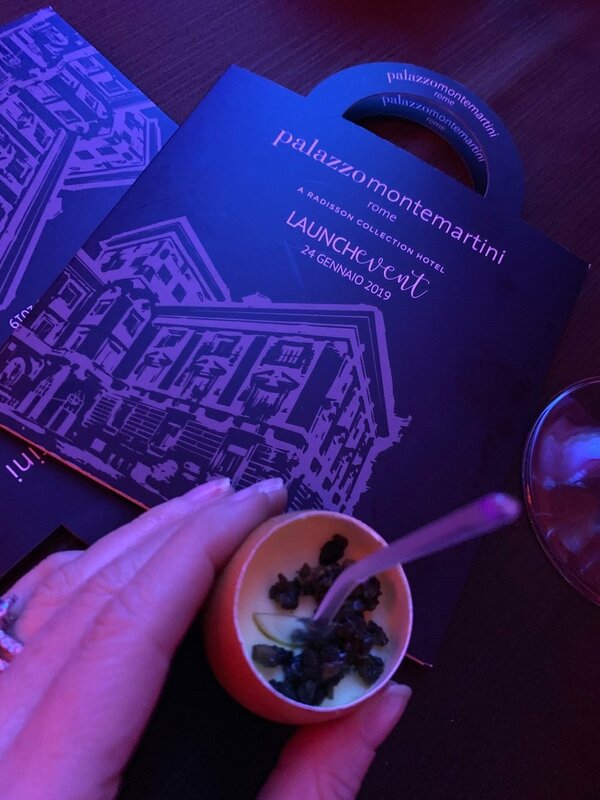 What a delight to attend Palazzo Montemartini’s innovative and stylish launch event, which successfully combined technical and creative mastery with five-star service. Watch this space!